Relax Massage Therapy Clinic provides high quality therapeutic treatments. Offering professional, clean, comfortable and safe massage therapy and reflexology. 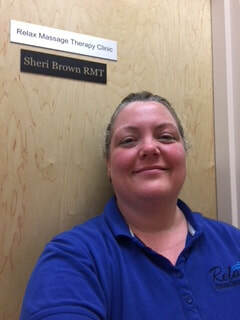 Sheri Brown RMT is a member of the College of Massage Therapists of Ontario and is regulated under the Ontario Health Professional Act. Provide direct billing to most insurance companies.